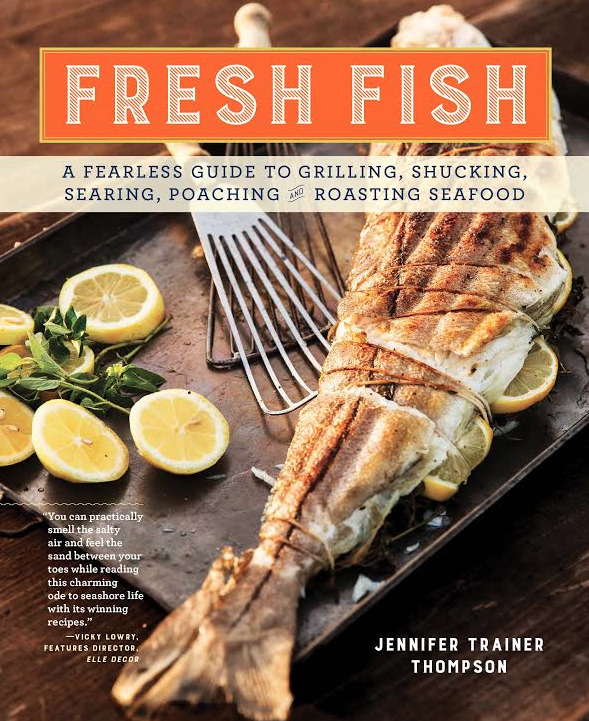 Fresh Fish by Jennifer Trainer Thompson is approaches fish cookery with a fearless bravado that encourages even the most novice cook to try seafood at home. The key to preparing these fish dishes perfectly is understand how the various cooking methods bring out the best results. You will learn how to successfully bake, pan-fry, braise, broil, steam, poach, roast, marinate, and grill fish. Savor delicious recipes like roasted corn chowder with crab and bacon, grilled shrimp with spicy ginger noodles, baked haddock filets with horseradish chive potato mash, chilled calamari salad with lemon and basil, and cedar planked salmon. After this read, you will have he confidence to cook fish and make spectacular meals. 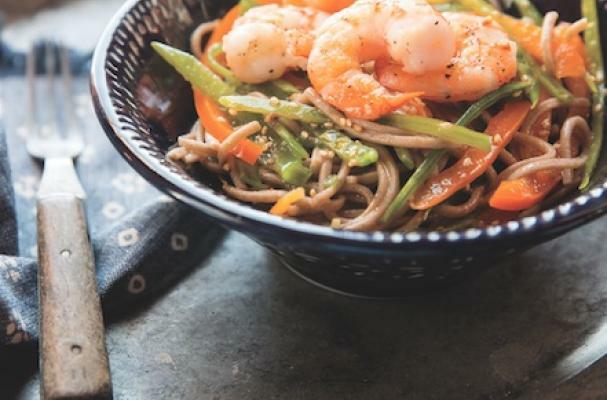 Also known as soba, buckwheat noodles (made from buckwheat flour) became popular in Japan during the late 1800s. Fat- and cholesterol-free, they’re a good source of magnesium, lean protein, and thiamine. 1. Bring a large pot of salted water to a boil. Cook the noodles until al dente, 2 to 3 minutes. Drain and rinse with cold water. 2. In a large bowl, combine the ginger, garlic, vinegar, soy sauce, 1/3 cup grapeseed oil, sriracha, snow peas, scallions, bell pepper, and sesame seeds. Add the noodles, mix well with your hands, and adjust the seasonings. 3. Devein the shrimp by running a sharp knife down the back of the shrimp to remove the black streak, and wash under cold water. 4. Prepare a cast-iron skillet by putting it over medium-high heat until it is very hot. Toss the shrimp with the 2 teaspoons grapeseed oil and salt and pepper to taste, and sear on both sides until cooked through, about 1 minute per side. 5. Divide the noodles among four bowls or plates, and top with the shrimp. Excerpted from Fresh Fish © by Jennifer Trainer Thompson, photography © by Keller + Keller Photography, used with permission from Storey Publishing.